Today's release brings you a couple of often requested features, and few bug fixes. Let's see what's in today's release. Another month, another cool little release focuses on stability and enhancements. Bug reports are slowing down, and people are generally happy with jApps 3. If you’ve been following our recent activity, you know we’ve had been working on 3 big projects for awhile. Today, we’re thrilled to launch one of those product, a solution to handle your WordPress and Joomla website backup. We call it jBackup! There are 2 major reasons which decided our team to develop a reliable backup solution for our customers. First, more and more people have their entire business relying on their website. If the website is gone, the business might as well. In that case a strong backup solution is very important. Second, in those uncertain times we live in, with so much hacking and censoring going on, it is important be able to recover you data in case of an incident. We have built jBackup on top of our powerfull and ironclad library, to provide the most reliable backing up solution we could design. In the beginning of the year we release a security solution jDefender, and a lot of you have been using it to protect your website. Now we deliver to you a simple yet powerfull—completely automated backup solution. Joomla 3.6.4 is now available. This is a security release mainly addresses three critical security vulnerabilities and a bug fix for two-factor authentication. Joomla versions 3.4.4 through 3.6.3 are affected by three security issues: Account Creation, Elevated Privileges and Account Modifications. In addition to the security issues above, Joomla 3.6.4 includes a bug fix for two-factor authentication found in Joomla core. We strongly encourage you to update your sites immediately. All Joobi Applications are compatibile with Joomla 3.6.4. We are thrilled to announce the release of Joobi Apps version 3 (jApps 3). 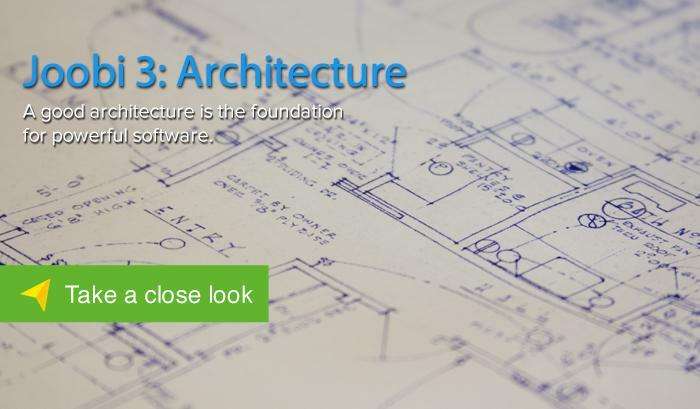 This month release focuses on software architecture and multi-language translation. Since June release, we've worked especially hard over the summer months to take the time to enhance the architecture of some the core libraries, as well as enhance your experience in Joobi Applications. The result allows for more flexible, robust and faster Apps. The significant changes of today's release are mostly under the hood, kind of replaced the previous V6 engine with a V8 engine.